Indie Detroit Americana Music born from the blues of Black Bottom, mothered by the soul of Motown, and raised by the rhythm of the Rock City. In summer of 2014, singer/ songwriter Frankie Jason Turner moved from his suburban Detroit home to a small apartment in New York City about six blocks from Central Park. Recently signed to BMG/Chrysalis Music Publishing, he made the trek to see the music industry up close and hopefully find a place for his personal brand of songs. 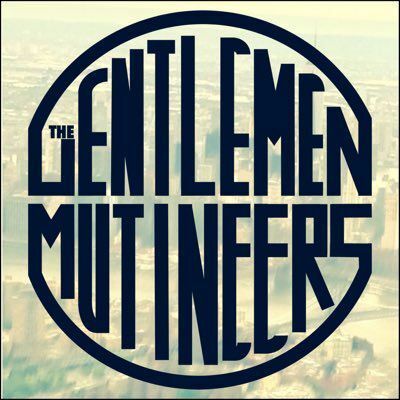 Out of the time he spent throwing himself against the overwhelming monster that it is Manhattan came the EXILE NEW YORK EP by Turner's band THE GENTLEMEN MUTINEERS. Recorded in a studio in midtown, EXILE NEW YORK is a dark, acoustic Americana EP that mixes old school blues, soul and country with modern recording techniques. The four tunes are both personal and universal lyrically, revealing a search for ones space and purpose against a complicated past, an unseeable future, and all the temptations of the world.